The Performing Arts department at The Sixth Form College, Solihull are opening the doors to parents, prospective students and invited guests for a series of showcases in the Spring Term. Tickets for April’s Music Concert are free of charge, but we are fundraising for the Dance and Drama departments with the other events – tickets will cost £2 for adults and £1 for concessions for the Dance showcase and £6 for adults and £3 for concessions for the Drama show. 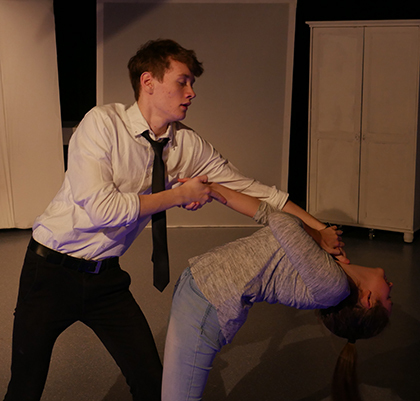 The Drama show will see first year A level Drama students performing plays from Berkoff. Anyone interested in watching is encouraged to contact the College to book their seats in advance – email Marketing for Easter Concert tickets and contact the Central Admin Office for tickets for the Dance and Drama shows. Alternatively call 0121 704 2581.